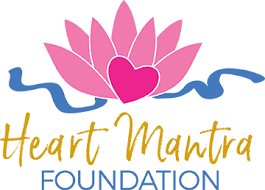 "The Heart Mantra Foundation, Inc. was founded to provide medical, cultural, educational, and infrastructure support to the people of impoverished areas throughout the world." I am fundraising money for a community of Tibetan refugees in the rural town of Dolanji, India through the Heart Mantra Foundation. This foundation aims to help build and strengthen impoverished communities around the world. My project, more specifically, is to fundraise for a water tank that will help irrigate the fields of their dairy farm. Since the community is located at a high altitudes, it is very difficult to secure enough food for each community member. So by having a functioning dairy farm, they will be able to provide meals to everyone. Images captured by my mother, Marie Meiffren in February of 2018. She was documenting the progress of the Menri Dairy Farm. This work called to me because of my mother. Growing up, we had 6 kids in the house not including 2 or 3 foster kids at a time. My mom not only was a full time mother but also a part time massage therapist. Money was extremely tight, but she was able to create an environment that didn’t feel like we were poor. She worked hard to make sure each kid was comfortable, and had personal time with each parent. It’s that amazing commitment to others, that is so inspiring to me. Since becoming semi-retired (all the kids have grown and moved out), she has spent the majority of her time and energy into raising funds for causes she believes in. Two years ago, she collected books and reading glasses for the same community that I’m working with this term (Menri). After that project, she was able to raise enough money to provide the community with solar panels to supply them with hot water. She just encompasses the idea that we can push ourselves to make a difference in the world. We have the power to use our resources and our community’s resources to change the world in a positive way. I would consider my project to fall into the category of “collective motivation”. The idea of pulling resources, whether it be money or volunteers, to accomplish a common goal has been a big part of my own project. Of course there have been obstacles, particularly regarding the project itself and where the money is going. A few people have made remarks like, “why didn’t you choose a project for your own country”, “a dairy farm, for a village in India, should be India’s problem, not ours” and “ I don’t have money for something like this”. I have made sure to not let words like this affect me personally, but I can’t help but feel saddened by the ignorance and total detachment that people have for these children at Menri. But this discouragement has been completely pushed aside by the overwhelming support of my family, friends, and total strangers. I am truly a believer that there are more good people in the world than bad. It really fills me with warmth to be surrounded by so many people who are willing to give anything they have, towards such an important cause. It is really much easier to accomplish something big, when you have the help of others. In that respect, accomplishing my Water Tank project is rewarding in more than one way. Not only am I able to fund the tank itself, but have both spread an awareness of the needs of communities that are thousands of miles away, and created an interconnected team of people willing to give and support this cause. I am so honored to be able to witness such kindness by so many community members here in Portland and Astoria.